Through working with a huge variety of organisations, we’ve noticed how interactivity between teams and departments is becoming more and more central to everyday business operations. 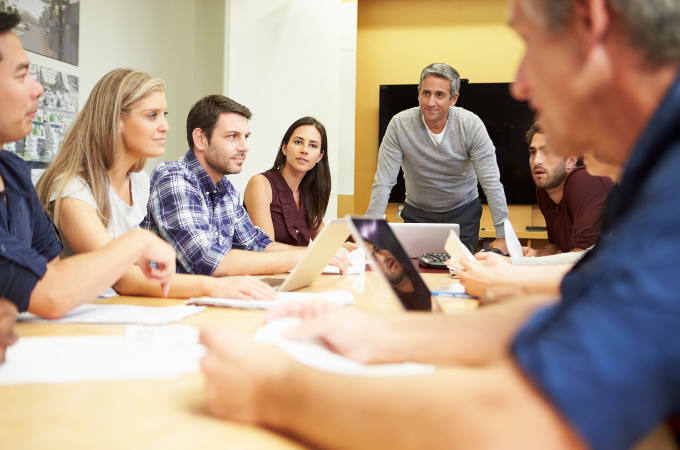 We’ve put together a short list of ways in which you can encourage transparency and improve employee engagement when it comes to team meetings, all of which can be streamlined with the help of an Audience Response System. If you’re planning to implement a new strategy, it’s important that your team are on board. To achieve this, it really helps if they fully understand the ideas, methods and goals that you are describing. Once you’ve articulated your plans, spend a significant part of your meeting going through example situations, asking your team how they might respond, according to the new strategy. You could use CLiKAPAD handsets to create a multiple-choice quiz – just make sure to leave plenty of time to talk through answers as a group. To continue running your business transparently, it’s important to make time for your employees to ask any queries they have about policies or practice. Find a way for staff to submit questions prior to the meeting (anonymously, if they wish), then have meeting participants vote on which issues they would most like addressed. This promise of answers makes it more likely that people will attend – and pay attention during – your meeting, as well as making sure your teams feel listened to. Before your meeting, ask your staff which of their colleagues have been particularly helpful to them in the last month or so, and collate the names on a slide (try using a word cloud arrangement). This makes it easier to give credit to quieter employees, which in turn boosts morale, encourages collaborative behaviour and lets you know who are the hardest-working members of your team. Alternatively, you could accept nominations prior to the meeting, then use voting handsets for bigger groups to anonymously identify which of their peers they believe to be most deserving of recognition. A core part of agile working is to routinely assess each project and identify what obstacles may prevent successfully meeting targets. One useful tool is to keep a running list of the most likely problems to arise, so that when your team checks in together you reprioritise the biggest threats according to a vote. If you would like more inspiration about how interactivity and Audience Response Systems can be used to improve decision-making in your company, contact us to discuss your needs today. ⟵Why does nobody ask questions?